Soft horizontal safety strips add strength and gripping power. Just the right size for beginners hockey. 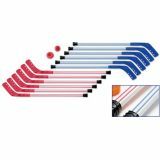 Set includes 12 deluxe sticks, 1 hotball, 1 soft shot puck and 1 instruction booklet. 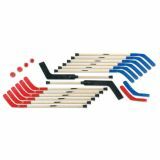 These 3-piece plastic sticks are lightweight but remarkably strong. Just the right size for beginners hockey. 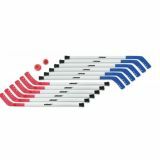 Set includes 12 sticks, 1 hotball, 1 soft shot puck and 1 instruction booklet. 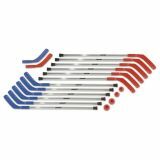 Lightweight, strong aluminum shafts will last for years. 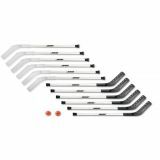 Set includes 12 aluminum hockey sticks, 2 hotballs, 2 soft shot pucks, 2 replacement blades, and instruction booklet. 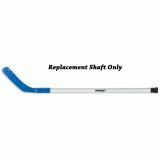 Lightweight and strong aluminum shaft combines with our plastic reinforced blades for all sizes. 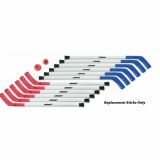 Set includes 12 aluminum sticks, 2 speed control balls and 1 instruction booklet. This strong, light and safe set will provide great play for years! 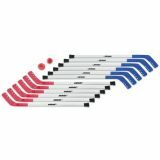 This is a high quality, economic hockey set. 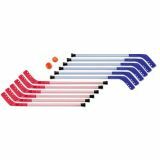 Includes 12 sticks, 1 hotbll, 1 soft shot puck and 1 instruction booklet. Soft horizontal safety strips add strength and gripping power. This stick is 30% stronger than our old Elementary stick. Upscale, contemporary design adds durability and safety to this innovative hockey set. 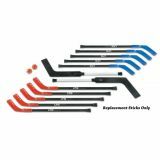 Includes 12 deluxe hockey sticks, 1 hotball, 1 soft shot puck and instruction booklet. Affordable and long lasting. 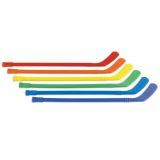 Shield's plastic shafts come with our thick plastic reinforced blades! Set incldues 12 plastic sticks, 2 speed control balls, and 1 instruction booklet. Strong wood shafts are durable and economical. 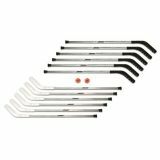 Set includes 12 wood hockey sticks, 2 hotballs, 2 soft shot pucks, 2 replacement blades and instruction booklet.